Call us for Gingerbread Cabin availability. ADA compliant featuring a separate bedroom. Call us for Honeymoon Suite availability. 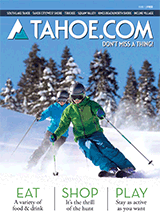 Call us for Tahoe Chalet availability. Stylish guest rooms boast luxurious furnishings.